It seems that the mental to-do lists are piling up. And with the never-ending piles, I find myself squeezing out the essentials. The other day I read a post at Rhapsody’s blog about obligations. In it she stated, “obligation is not truth it’s a choice”. Which had me thinking about all of the things I feel obligated to do because I made a commitment. I have always valued keeping my word. But saying yes to one thing is essentially saying no to another. For I simply can’t do it all. It’s the things that matter most that often speaks the softest when you fail to do them. But it’s those those things that causes the greatest rift after continual neglect. So I am asking myself are the things I have chosen to obligate myself taking me away from the things that give me the vital nutrients my life needs. Great thoughts and even better questions to ask myself!! Definitely something we each should contemplate from time to time. This is a struggle I have constantly. I don’t know what I should obligate myself too. There are so many worthy things. Good thoughts. I’m A-Z blog hopping. It’s always nice to find a Christian blog. I look forward to reading more of your thoughts. Pleasure to meet you Christine. There are so many good things to be involved in but when we spread ourselves too thin, I think we do ourselves and those we serve a disservice. So I am asking myself are the things I have chosen to obligate myself taking me away from the things that give me the vital nutrients my life needs. What a great question to pray and meditate over. Thank you! This gave me pause for thought. I made a note of that verse since it intrigued me and I’m thinking I might write a post about it after the A to Z is done with. Hi Lee, it’ll be interesting to see your take away on that verse. Wonderful post Wanda; in a time when our lives are moving so fast, and living in a culture that places so many demands on our time, we must decide Who and What are really the most important things in our life and give our “to-do” lists an overhaul! You’re right Denise. Hope your week is a great one. This is a spiritual homerun question for me. 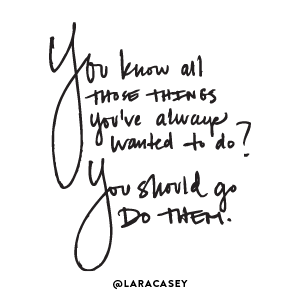 Sometimes I think I’m constantly picking between things that “must” be done, but when I stop and really take a look, not all those things have the same priority. I’m missing a board meeting today for this very reason. I was going to say yes and literally “squeeze” it in, but I thought back on the fact that I have never missed one of those board meetings in three years and I choose not to run all over town today. I decided that the meeting today did not have the highest priority for me, and I’m fine with that. Hooray for you! Knowing what is priority in our lives is vital. Otherwise I think we spend a lot of time doing good things but never get around to doing what we are best suited for. Don’t forget to schedule some you time on that to do list Kim. I’ve always loved that verse; it helps me focus on priorities and also reminds me of the responsibility God gives us with His freedom. I’m a visiting A-Z blogger. So true with freedom comes responsibility. Pleasure to have you stop in Margo. Best wishes to you in the challenge. Amen…very convicting Wanda. I definitely needed to hear this reminder. Oh blessings to you Susan. I needed to hear it too. I hate quitting something once I have started. It makes me feel like a failure. But there are times that forging ahead is really not the best choice.